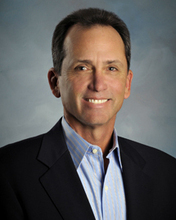 Steve joined Leaf & Cole, LLP in 1977 and became a partner in 1983. Steve serves the firm as the head of the auditing practice and specializes in water districts, nonprofit entities and the affordable housing industry. In addition, he prepares individual, corporate and partnership income tax returns. He has served as managing partner of the firm since 1997. Michael joined Leaf & Cole in 1983 and has served as tax partner of the firm since 1989. Michael serves the Firm as the director of the tax practice and specializes in real estate and small business taxation. In addition, he prepares individual, corporate and partnership income tax returns. Mike joined Leaf & Cole, LLP in 1989 and was admitted as partner in 1998. Mike serves the firm in the accounting and auditing practice and specializes in water districts, nonprofit entities, the affordable housing industry and small businesses. In addition, he prepares individual, corporate and partnership income tax returns. Nicholas began his accounting career at Leaf & Cole, LLP in 1997. He became a partner in 2005. Nicholas specializes in real estate taxation, including construction, development and syndicated partnerships. Based on his knowledge and experience, Nicholas has provided valuable advice to high-net-worth commercial and residential property owners. He also lends his expertise in consulting and individual and corporate tax preparation (partnerships, S and C corporations, limited liability companies) to all-size businesses, ranging from professional services, technology and retail to manufacturing, healthcare and hospitality. 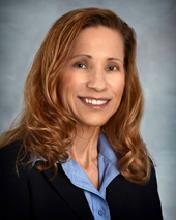 Julie joined Leaf & Cole, LLP in 1993 and was admitted as a partner in 1998. Julie manages the firm’s auditing practice and specializes in nonprofit entities, the affordable housing industry, employee benefit plan audits and small businesses. In addition, she prepares nonprofit information returns, corporate and partnership income tax returns. Jennifer joined Leaf & Cole, LLP in 2002 and was admitted as partner in 2015. Jennifer is experienced in individual, and business tax services. Jennifer also specializes in nonprofit organizations and affordable housing tax services. Craig brought to Leaf & Cole over 30 years of experience upon joining the firm in 2013. In addition to having an experienced tax compliance and small business planning background across all entity types and extensive industries, he also specializes in non-profit organizations and audits of pension plans. Carole joined Leaf & Cole, LLP in 2004 and was admitted as partner in 2017. Carole is experienced in individual, and business tax services. Carole also specializes in estate, trust and multistate tax services.